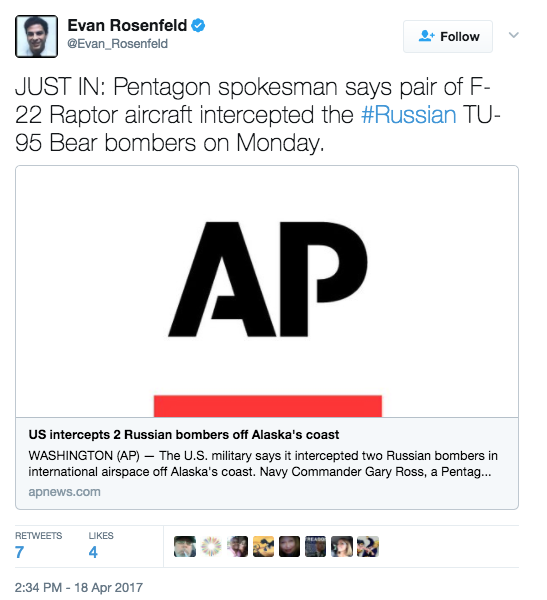 The Pentagon says a pair of F-22 Raptor aircraft intercepted two Russian bombers in international airspace near Alaska’s borders Monday. Two Russian Tu-95 “Bear” bombers flew within 100 miles of Alaska’s Kodiak Island, roughly 280 miles southwest of Elmendorf Air Force Base. The U.S. Air Force F-22’s flew alongside the bombers for 12 minutes before reversing course and heading back to eastern Russia. 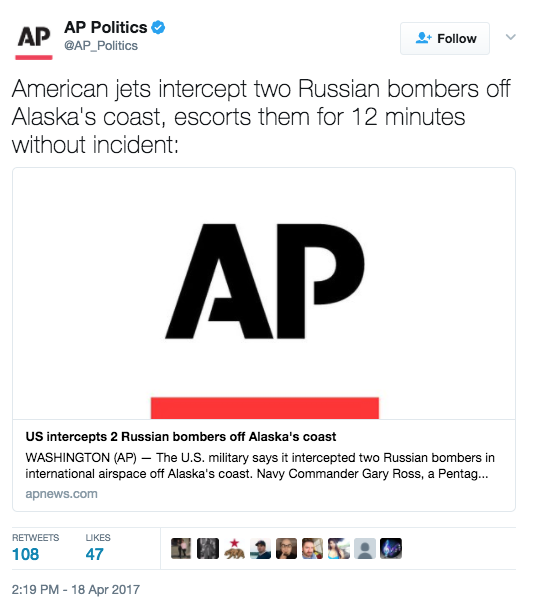 Navy Commander Gary Ross, a Pentagon spokesman, described the intercept as “safe and professional,” as quoted by the Associated Press. The U.S. & South Korea Are Kicking Off A Big Exercise Just As North Korea Threatens "Thermonuclear War"